Shop for all your Hair care Styling from a variety of different brands. Greener Beauty is always vegan, always cruelty free, only ever ethical brands and always toxic chemical free. 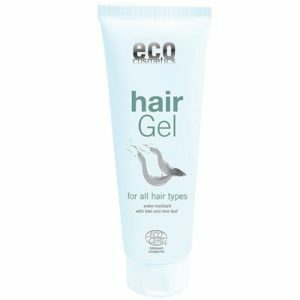 ECO Cosmetics Organic Hair Gel will style all types of hair and keep that natural looking hold throughout the day. The non sticky formula of this organic hair gel includes a combination of kiwi, vine leaf and jojoba oil to help strengthen weak, brittle hair as well as creating volume and shine.